How are billions of new images each day augmenting the mediasphere while revealing (or obscuring) reality? For the last 500 centuries, image has functioned as our representation, and as our boundary markers. What is the nature of that relationship today? Images are now more than just pictorial, they coalesce into an environment, an ecology, and even an atmosphere. Overwhelmingly abundant, image is less valuable than ever before, it has nonetheless supplanted the power of traditional language systems and is changing culture in profound ways. 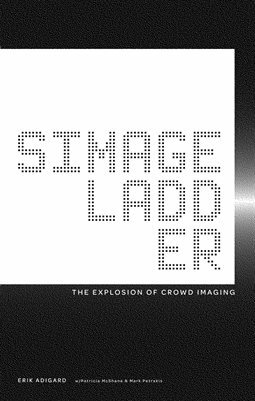 SIMAGE LADDER is a part of Adigard’s Simage Project, an ongoing thesis on the nature of image today.